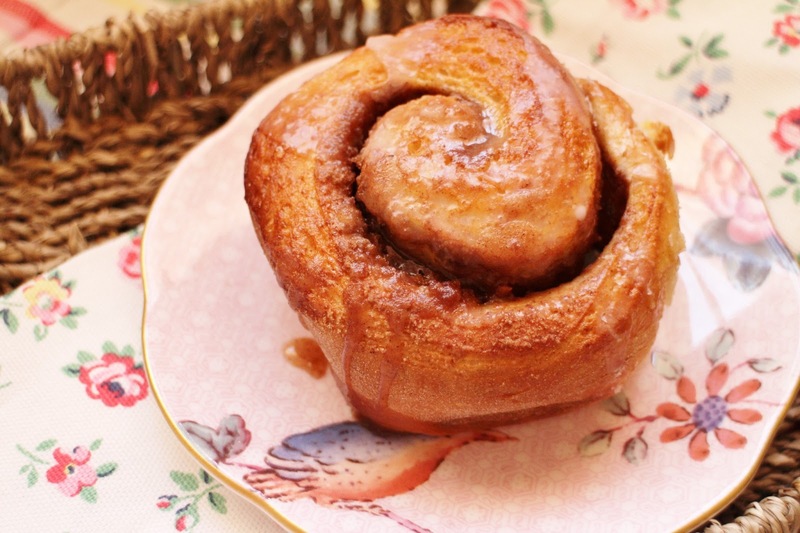 I’ve based this truly addictive, delectable recipe on Averie Cooks One Hour Cinnamon Rolls, Which I’ve made a couple of times before, and are now my ‘go to’ recipe for gorgeous, but relatively quick cinnamon rolls, every time I make them I’m truly impressed by how great they are! 1 cup of runny yoghurt, buttermilk, or yoghurt thinned down with milk to a runny yoghurt consistency, warmed to lukewarm. 1. Place all the dough ingredients into the bowl of a mixer, fitted with the dough hook and knead on low-medium speed, for 7 minutes. 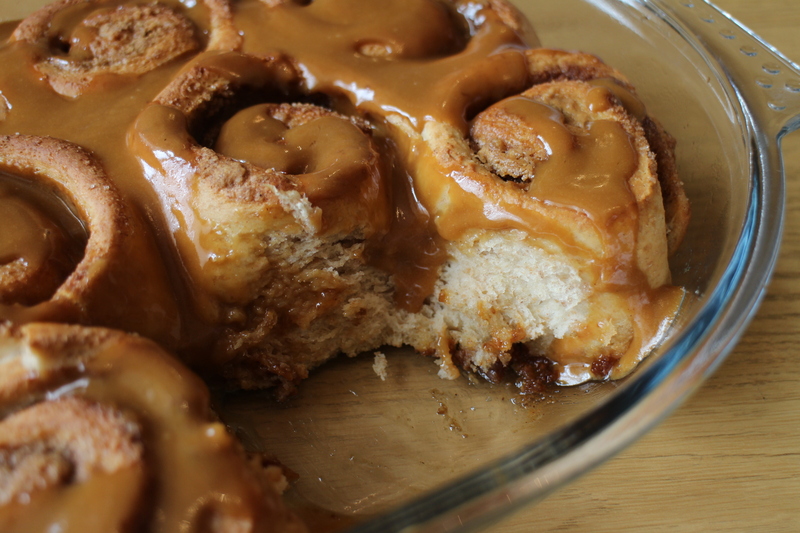 Don’t skimp on the time, as it gives a wonderfully smooth and elastic dough. 3. 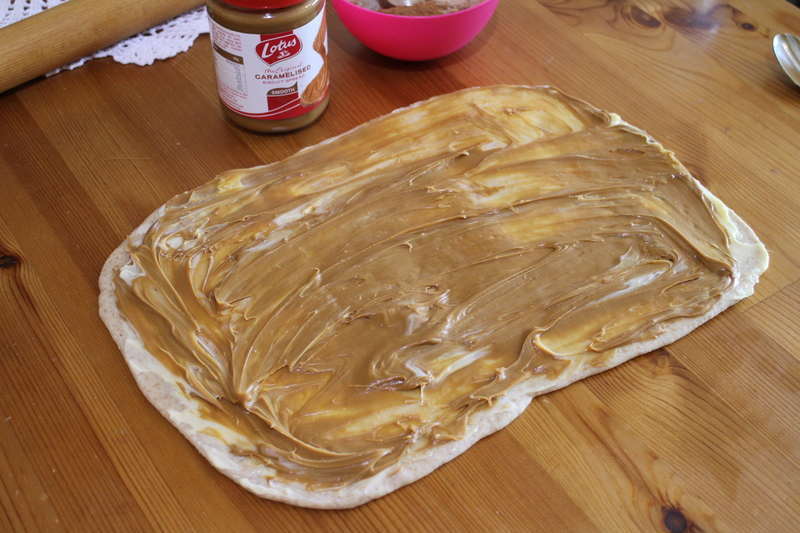 Cover with 50g very soft butter and 2 heaped tbsp Biscoff spread. 4. 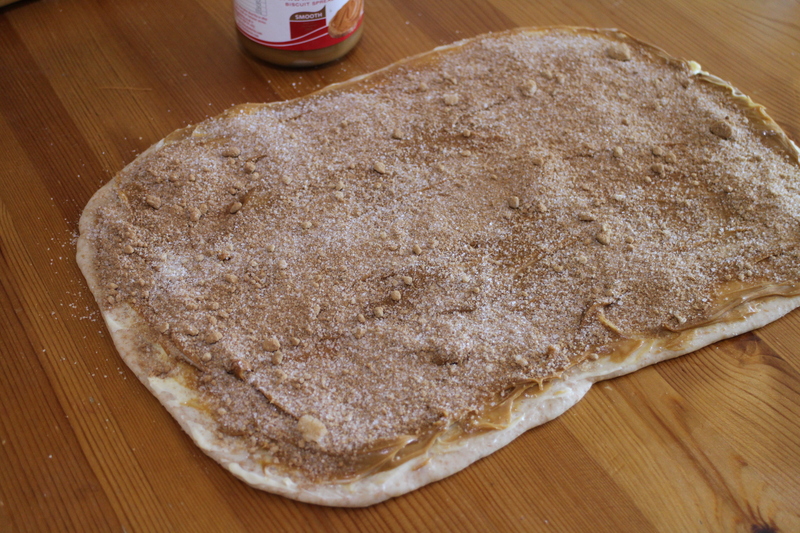 Sprinkle with 1/2 cup of sugar (I used half granulated and half light brown sugar) mixed with 1tbsp ground Cinnamon. 5. 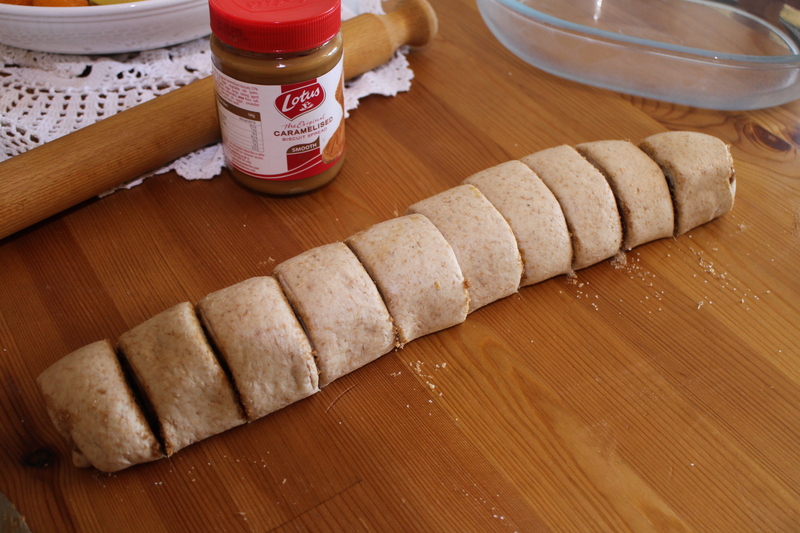 Starting from the long side, roll up the dough, enclosing the filling. Cut into 10 equal sized slices. Averie uses dental floss to do this, I just use a regular, sharp kitchen knife. 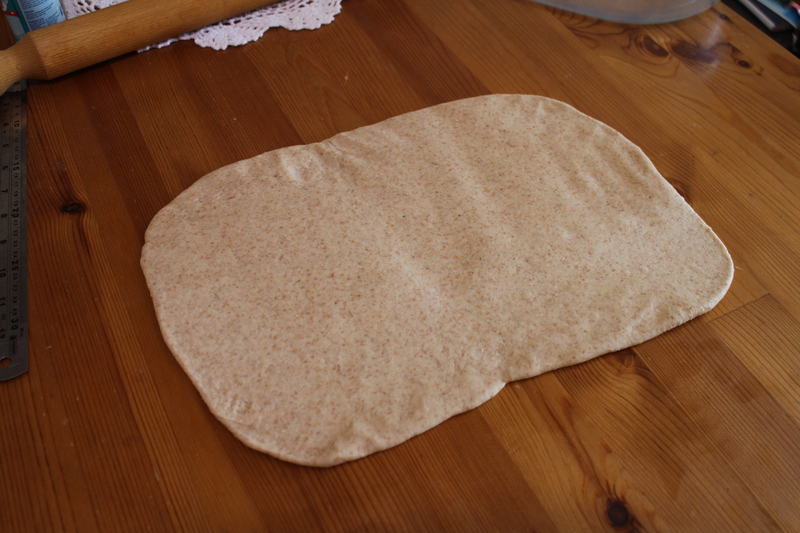 7, Cover with a tea towel and place for 30 mins in a warm place. 8. Bake at 180 deg.C (160 fan oven) for about 18-20 minutes. Keep a close eye on them, so they don’t overbrown. 9. 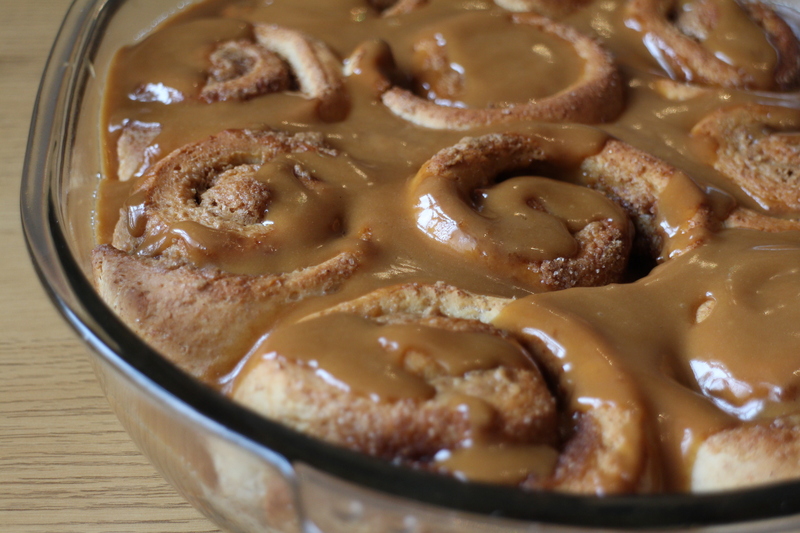 While they are cooking, mix up the Biscoff frosting in a small bowl. 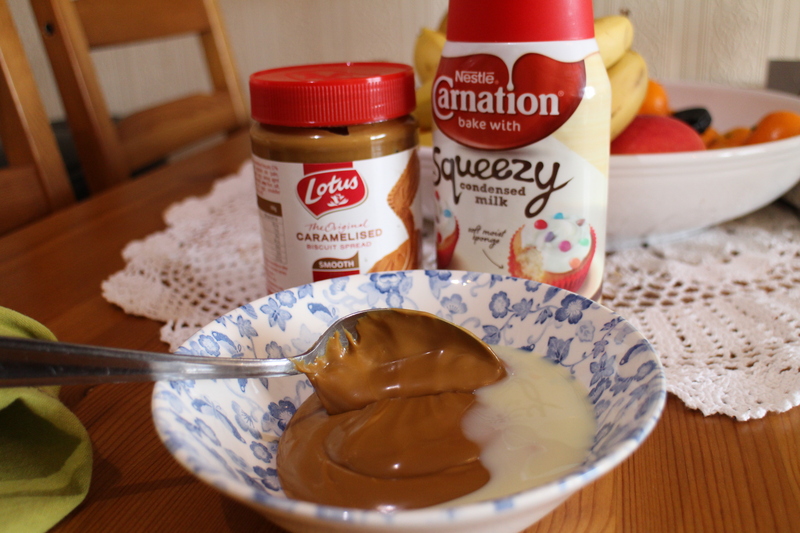 Start off with 2 heaped tbsp of Biscoff spread, 1 tbsp squeezy condensed milk, 1 heaped tbsp icing sugar and enough runny yoghurt and milk to make a smooth, pourable frosting. I used about 2 tbsp runny yoghurt and 2 tbsp milk. 10. 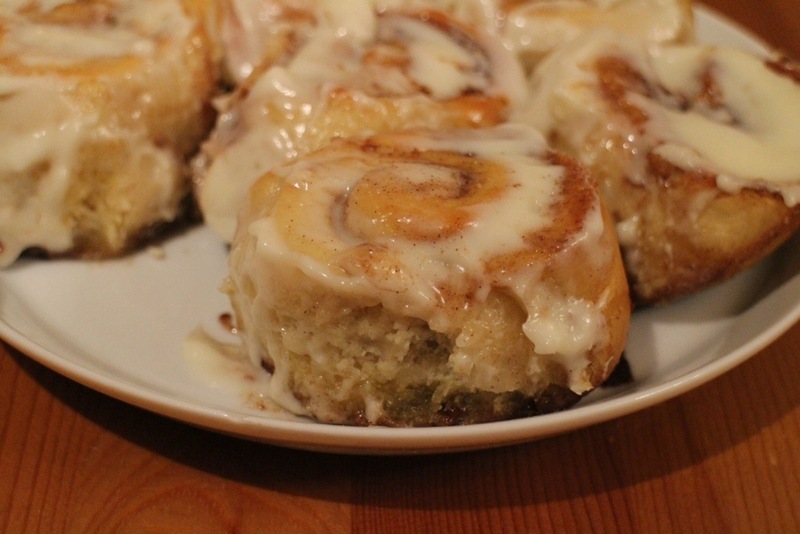 Pour the frosting over the still hot rolls. 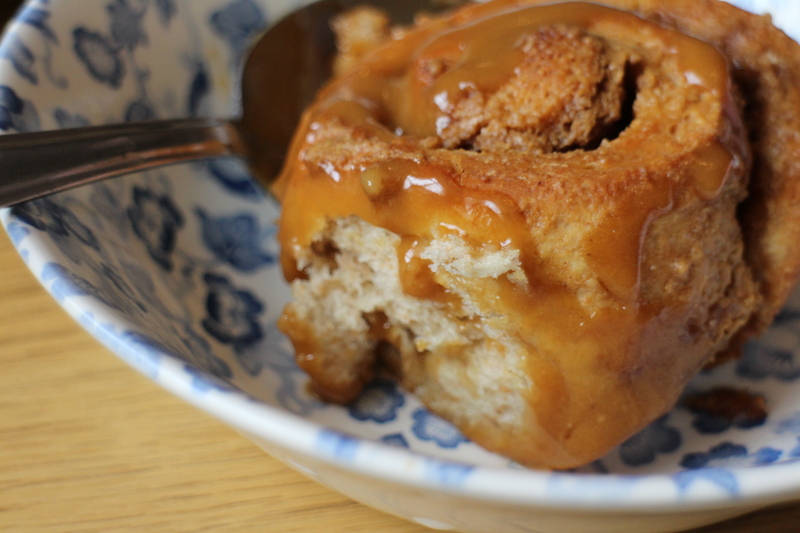 Allow to cool slightly before devouring! You know how some recipes manage to just worm their little way into your overloaded brain, mingle around with every other thought in there and somehow refuse to leave until you’ve made them? Yes, this recipe is one of those. Deservedly so. Wickedly so. 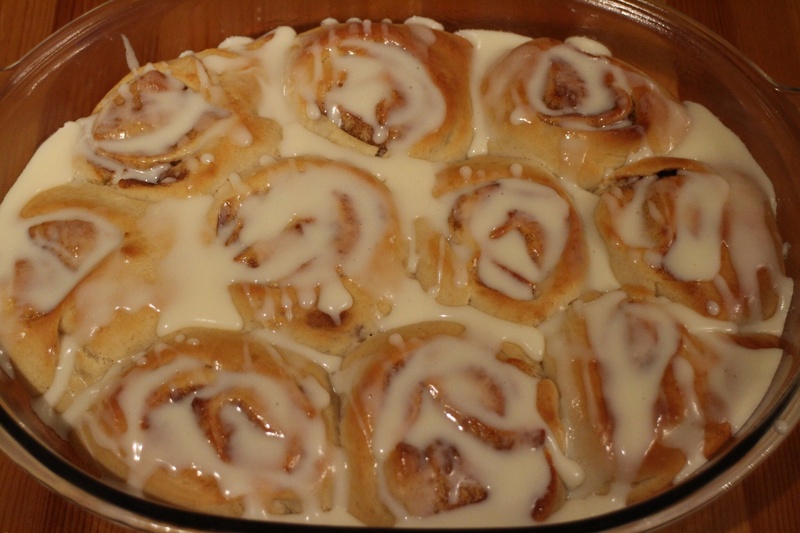 Cinnamon rolls in an hour? Start to finish? Can it be done? What about proving the dough? NO proving you say?! Now this I have to try…always up for a challenge! Especially a deliciously edible one. And a one-hour ‘Emmerdale’ on TV just as I begin. Perfect timing. 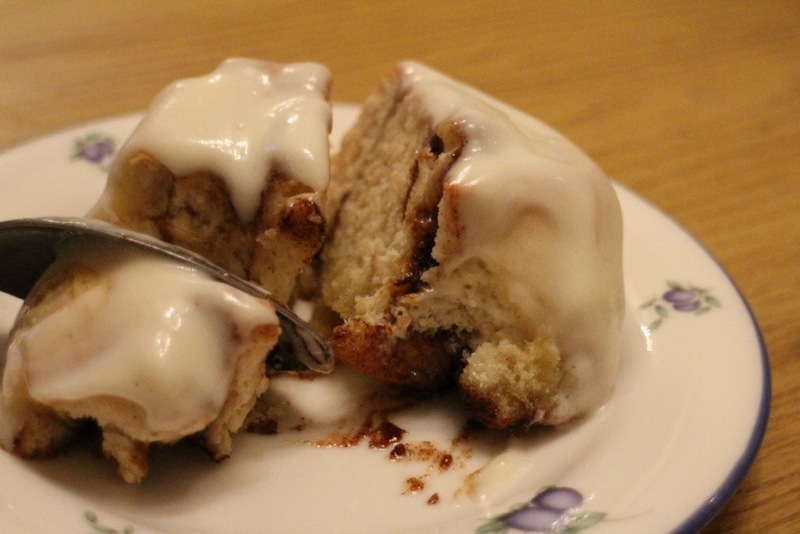 Here is Averie’s One-Hour Cinnamon Roll Recipe. 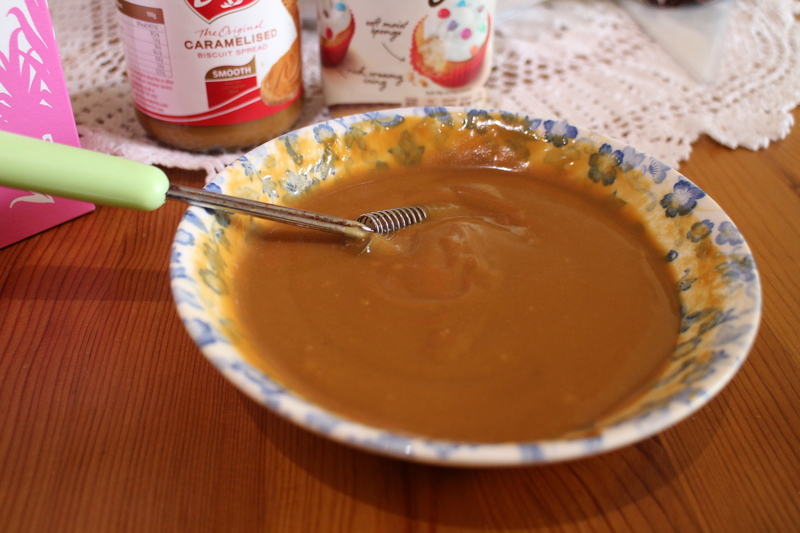 I used 2 sachets of instant yeast, which I just added to the bowl along with the other ingredients. As Averie says, be careful not to over cook, mine could have done with taking out at 18 minutes. I have a fan-assisted oven which is overly hot. Always. So check yours before the 20 minutes that the recipe states. would I make them again? Yes! would I do anything differently? does it defeat the object to say I’d let them prove? 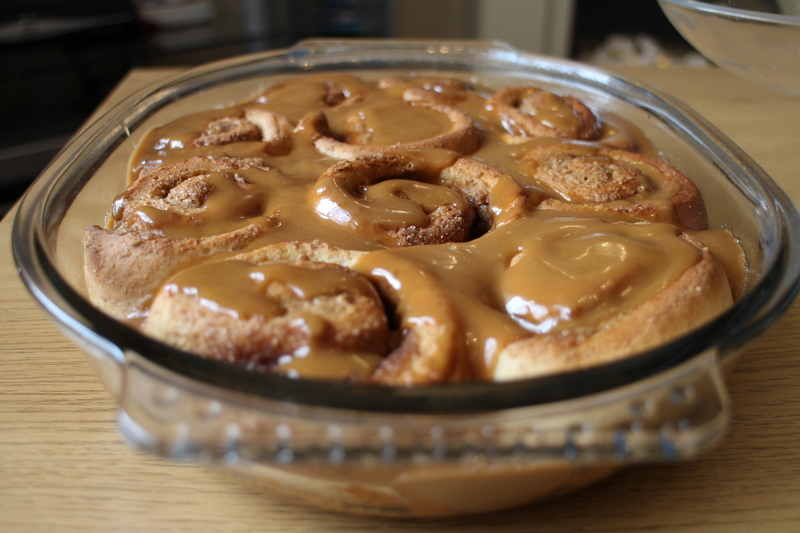 At least after they have been cut and placed in the pan, I’d definitely leave them for an hour or so, just to relax and let the yeast start to do its thing….. 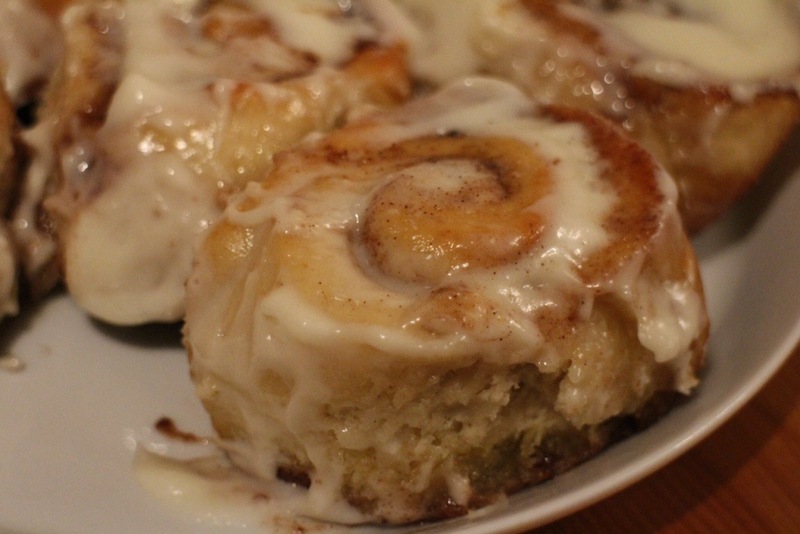 They are great if you have an absolutely hideous craving for cinnamon rolls that just won’t go away and you need them soon……after all, here in the UK we can’t just nip out and buy them….I don’t know if that’s a good thing or a bad thing….however, if you are not pushed for time Averie also has a recipe for overnight buttermilk cinnamon rolls. knead the dough for the full 7 minutes, don’t skimp on this, it makes a wonderfully soft, elastic shiny dough. Set a timer if you have to! That’s what I did! And if you have even a spare 30 minutes (which is what I had spare!) do let the dough prove. Well, you can see the end result for yourself. Fluffy and light. 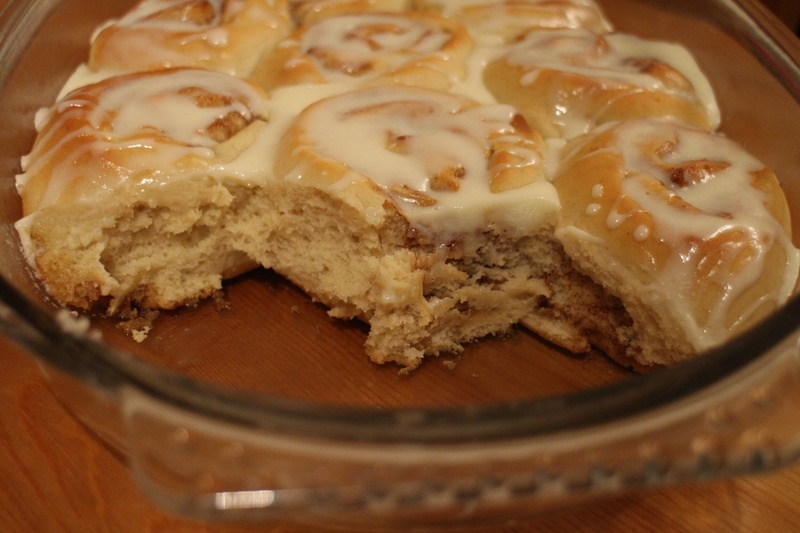 Oh and a runnier icing, I have decided, is my preference, it gets into all the nooks and crannies much better…. I really can’t rave about these beauties enough. 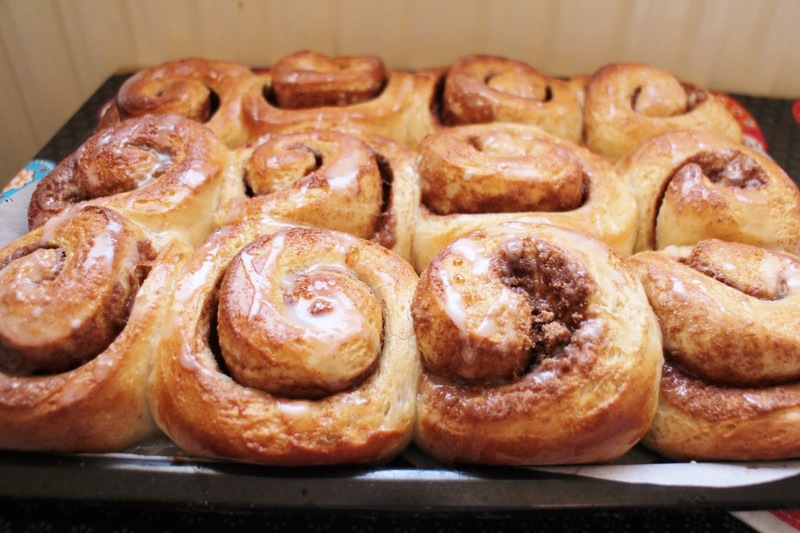 Soft, cinnamony, sugary, billowy, yielding…..You really must try them.